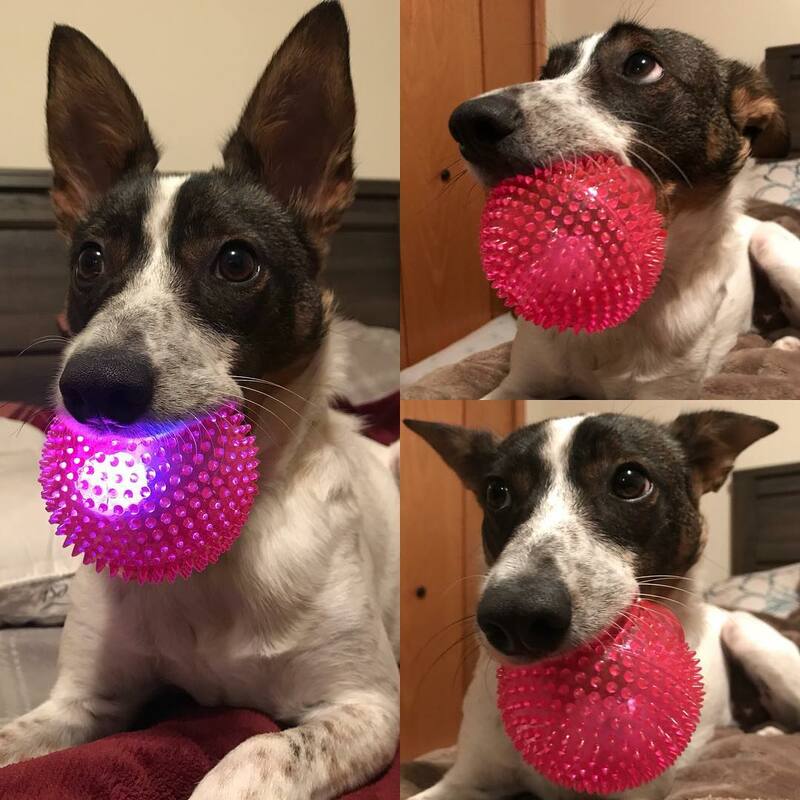 Light up playtime with your pooch with the Light Up Squeaky Light Ball Dog Toy. 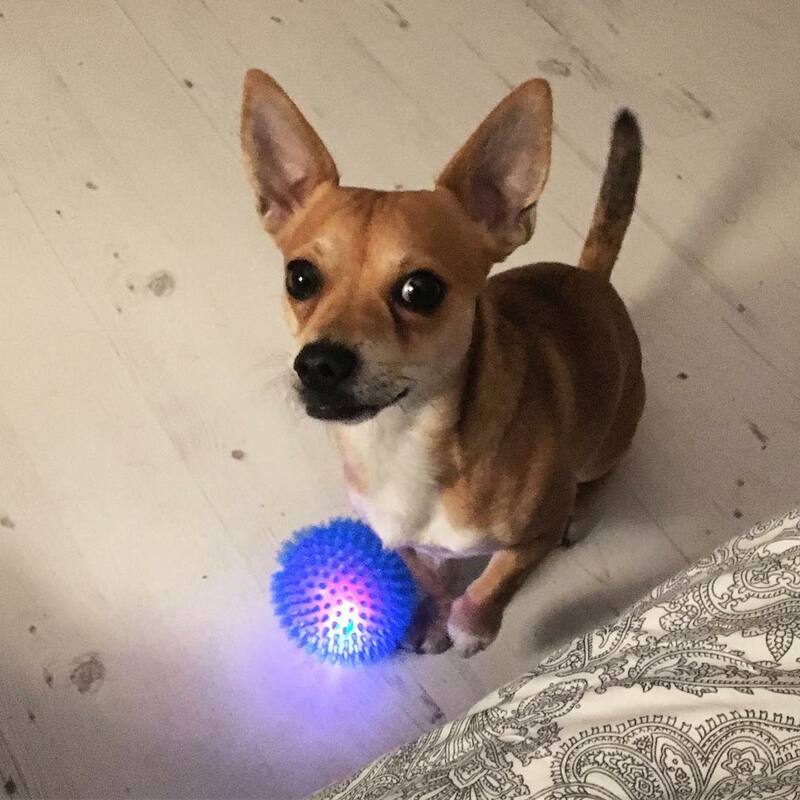 It’s made with food-grade, BPA-free thermoplastic rubber so it’s safe for everyday, anytime play and can stand up to some pretty tough woof-housing! 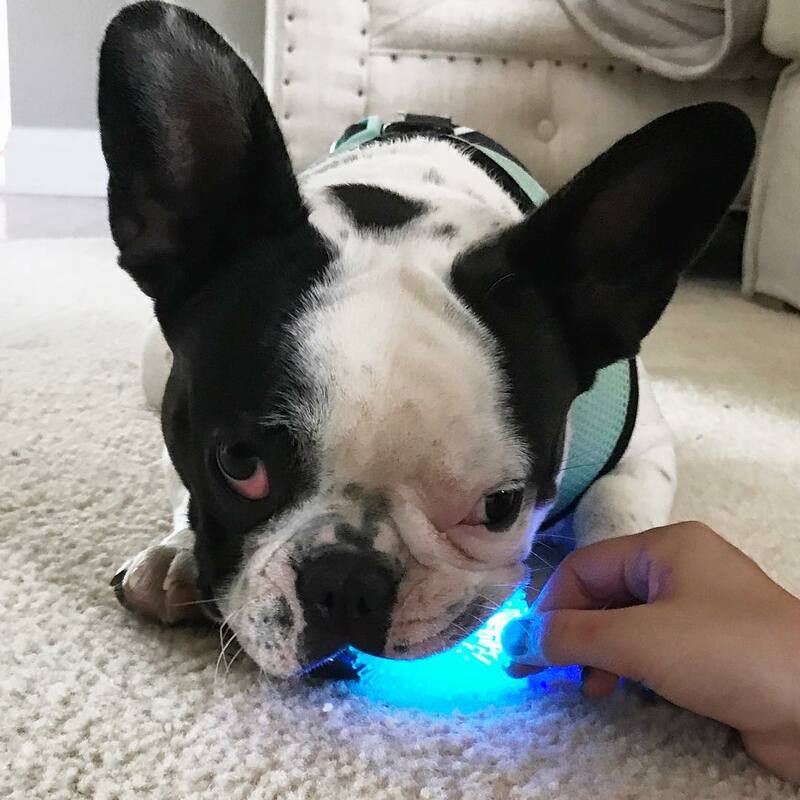 The flashing LED light activates with every bounce to keep your pup chasing after it, adding much-needed exercise and mental stimulation to keep him healthy and active. 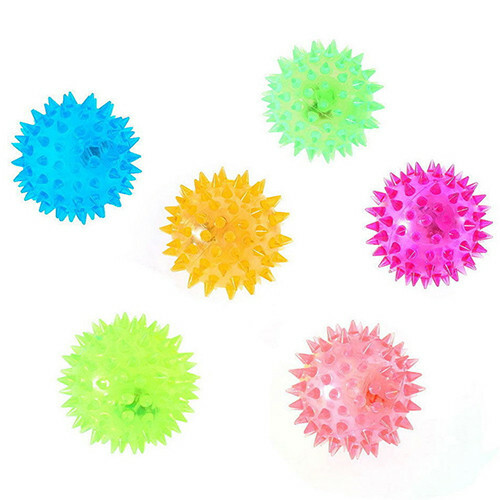 To top it all off, there’s also a squeaker inside and the spiky texture helps massage doggy gums with every gnaw. Due to high order volume, please allow 7-10 business days for delivery. Safe. Made of food-grade thermoplastic rubber that can stand up to everyday play and is BPA-free. Entertaining. 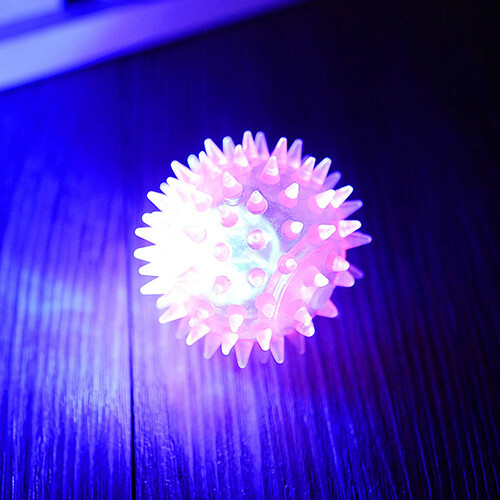 Bounce-activated LED light keeps your pal engaged and chasing after the erratic bounce. 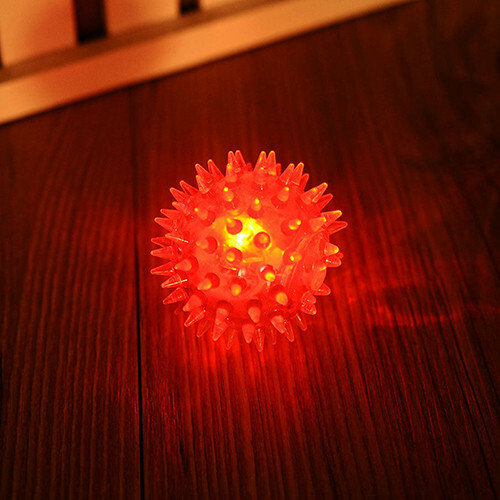 Comes in a variety of bright, attention-grabbing colors to suit your style and your pal’s personality. Cleans teeth. 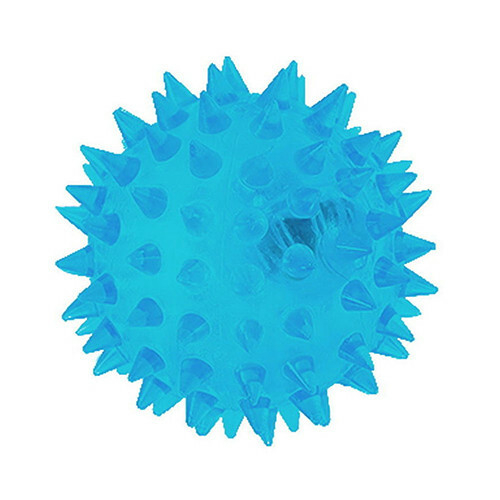 Built-in squeaker turns up the excitement during play, while the spiky texture works to massage gums. Improves health. 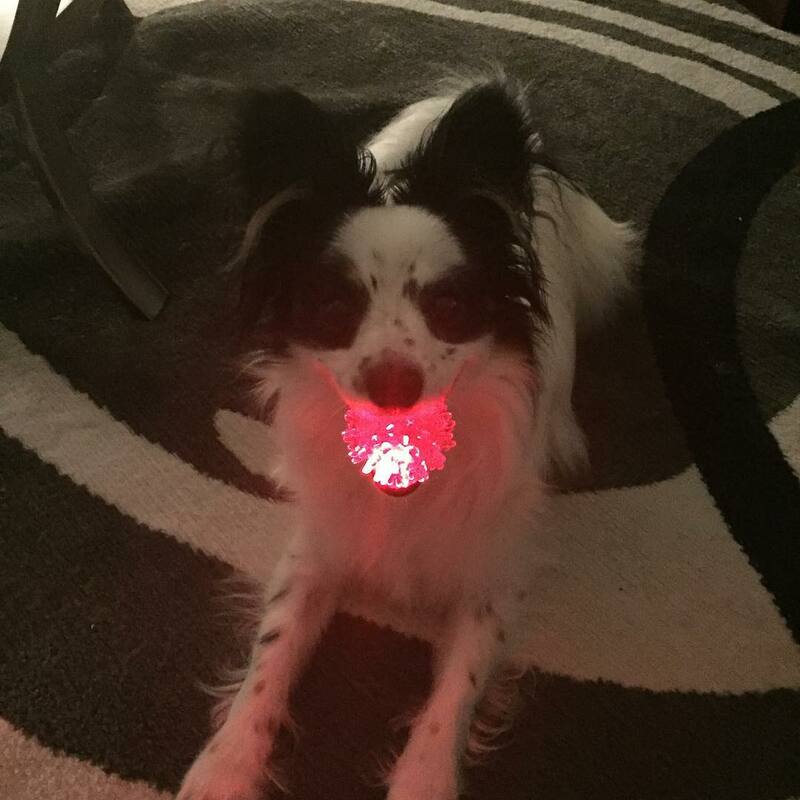 Adds much-needed exercise and mental stimulation that dogs need to stay active, healthy and at an ideal weight.